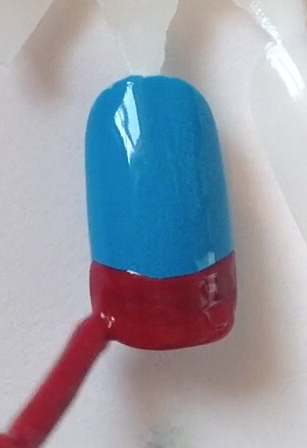 Outline a blue triangle at the bottom of the nail. 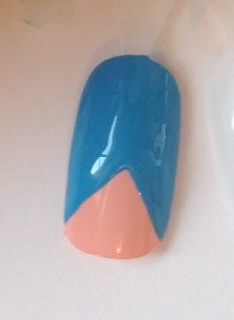 Then fill in the rest of the nail, except the triangle. 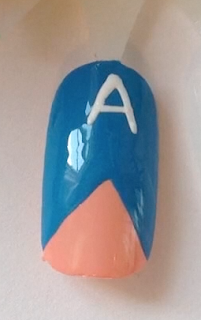 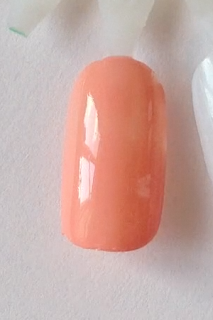 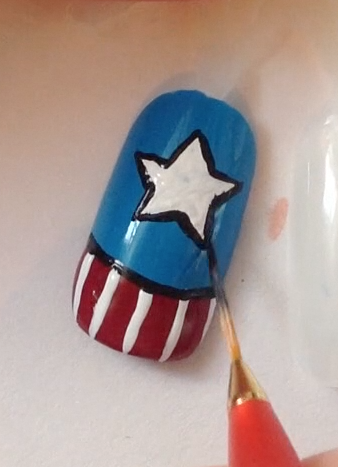 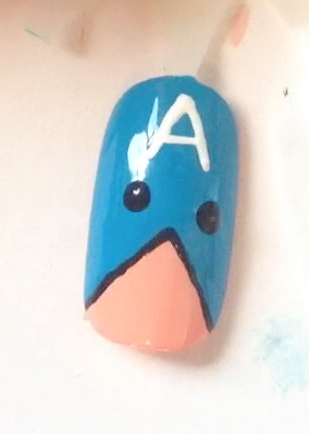 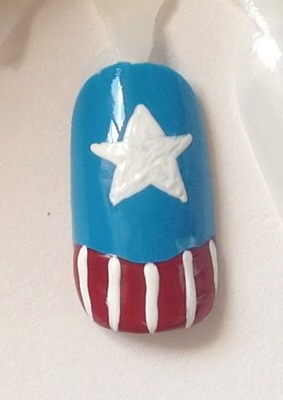 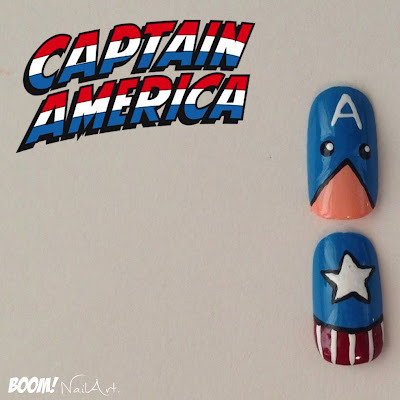 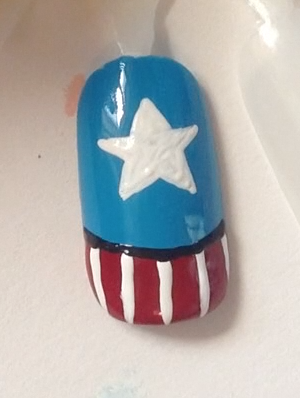 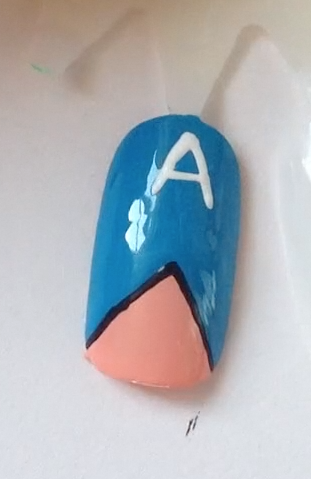 Paint a white 'A' at the top of the nail. 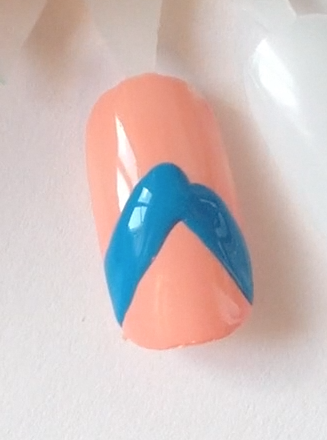 Outline the triangle with black. 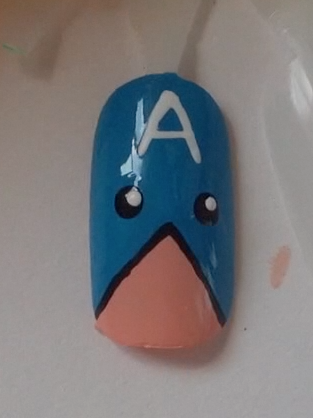 Add 2 white dots as eyes. 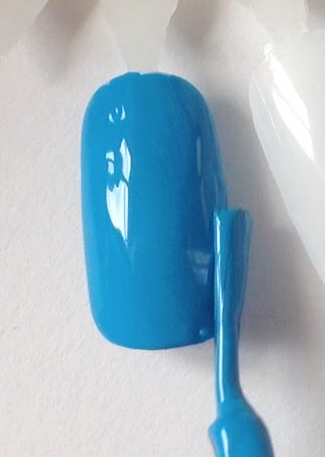 Paint a white star in the centre of the blue section. Paint white verticals lines through the red section. Outline the bottom section with a black line. 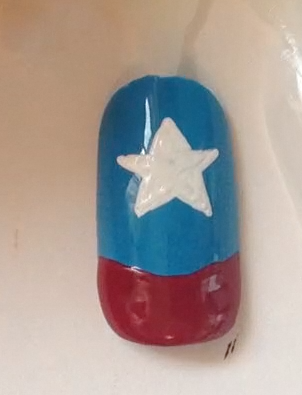 Outline the star with black.